Chief executive Miles Hurrell says the Co-operative's business performance must improve. "There's no two ways about it, these results don't meet the standards we need to live up to," he said in a statement. "In 2018, we did not meet the promises we made to farmers and unit holders," he said. At the interim results, Fonterra said it expected its performance to improve in the second half. "We needed to deliver an outstanding third and fourth quarter, after an extremely strong second quarter for sales and earnings – but that didn't happen," he said. Fonterra chairman John Monaghan and interim chief executive Miles Hurrell. Photo/NZ Herald. 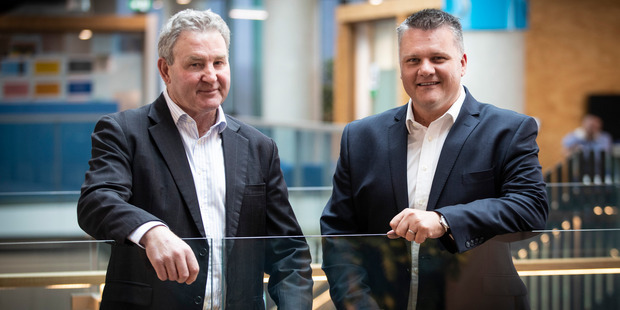 Hurrell says that in addition to the previously reported $232 million payment to Danone relating to the arbitration, and $439 million write-down on Fonterra's Beingmate investment, there were four main reasons for the Co-operative's poor earnings performance. "First, forecasting is never easy but ours proved to be too optimistic. "Second, butter prices didn't come down as we anticipated, which impacted our sales volumes and margins. "Third, the increase in the forecast Farmgate Milk Price late in the season, while good for farmers, put pressure on our margins. And fourth, operating expenses were up in some parts of the business and, while this was planned, it was also based on delivering higher earnings than we achieved," he said. Even allowing for the payment to Danone and the write-down on Beingmate, which collectively account for 3.2 per cent of the increase in the gearing ratio, the performance was still down on from the previous year's. Hurrell says when looking at the underlying performance of the business, which you can see in the normalised EBIT of $902 million, progress has been made in moving more milk into higher value products. "While sales volumes were down 3 per cent in FY18, a larger proportion of milk was sold through Consumer and Foodservice and Advanced Ingredients. He said 45 per cent of sales volumes were through these businesses and this is up from 42 per cent n FY17, despite the higher input-price environment. Fonterra's Consumer and Foodservice business grew in all regions, except Oceania, with our strongest growth in Greater China. The consumer business in China broke even this year, two years ahead of schedule. "A big contributor to this success is the popularity of Anchor, which is now the number one brand of imported UHT milk in both online and offline sales in China," he said. 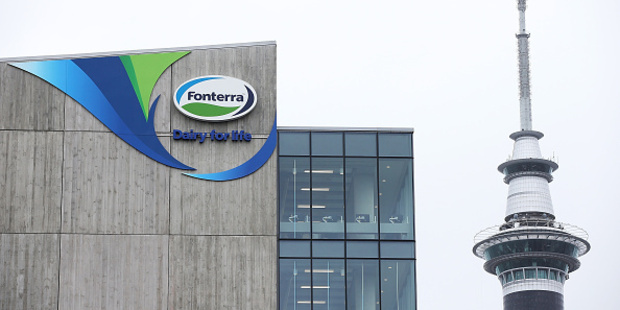 Fonterra has said that it is undergoing a stocktake of the business, which will involve re-evaluating all its investments, major assets and partnerships. The forecast Farmgate Milk Price for the 2018/19 season is held at the $6.75 per kgMS Fonterra announced at the end of August and the Co-operative's forecast earnings per share range for FY19 is 25-35 cents.